665,000 gallons of water from the aquatic’s center pool makes it’s way through a series of pump hoses, under-ground holding tanks and finally to the drainage canal outside near the South parking area in front of the maintenance building March 7. 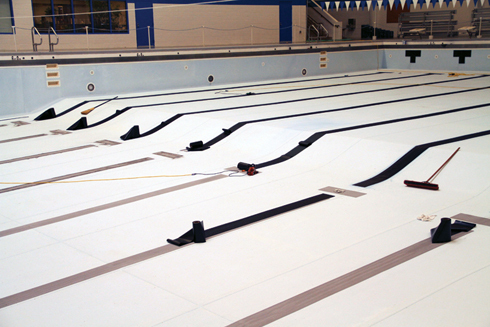 After 36 to 48 hours time the pool will be fully drained in preparation for wire-welding and re-texture of the lines at the bottom of the pool which will keep the pool closed until after Spring Break. Pumps connected to drain hoses pull 665,000 gallons of water from the aquatics center pool during renovations to re-texture the lines at the bottom through a process of wire-welding March 7. 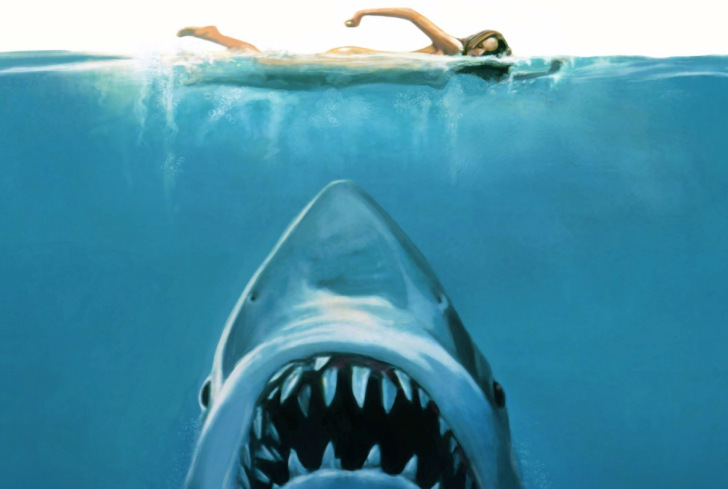 The pool will re-open after Spring Break. OCCC’s swimming pool will reopen March 27 after being closed for required maintenance for most of the month, said J.B. Messer, Facilities Management director. At that point, all classes will resume as scheduled. The pool had to be drained in order to reapply stripes to the pool bottom. The stripes separate the swimming lanes for competitions, Messer said. This is the first time since the pool opened in 1989 that the lines have had to be re-done. No one knows for sure why the lane stripes faded. Messer said he hopes this will be the last time they will have to drain the pool to fix this problem. 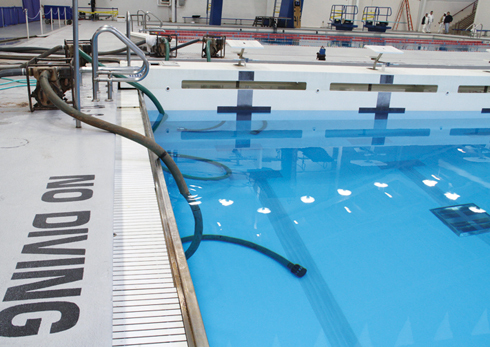 Before draining the pool on March 7, the 665,000 gallons of water was chemically neutralized, an hour-long process, said Gary Belcher, building maintenance and operations supervisor. They started at 7:30 a.m. and began draining at 8:30. Two hours later, the water line had dropped only 18 inches. To drain the pool, long hoses with suction pumps on the opposite end are put into the water, explained Belcher. 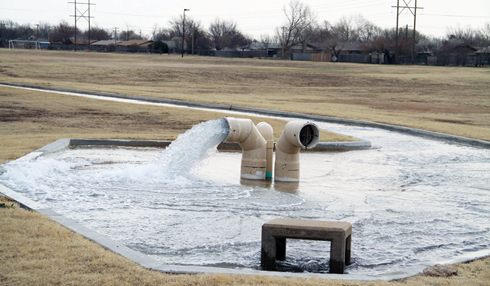 Then, suction brings up the water and the hose takes the water to a storm drain on the east side of the Aquatic Center. From there, the water enters an underground holding tank until it can be pumped outside into the drainage channels that surround the college. Belcher said it can take anywhere from 36 to 48 hours to fully drain the pool. “They will be installed by a heat welding process,” he said. The college chose to weld the black lane markers to the bottom instead of repainting to minimize the need to repeat the job. OCCC lifeguard Megan Davis said maintenance work has modified her duties and reduced the hours she was permitted to work. She said she is glad this will be the last time the pool will have a scheduled closing this semester. For more information on swimming hours and classes, contact the Recreation and Fitness offices at 405-682-7860.